Barrell Racing Rooftop Rodeo, Estes Park, Colo., (970) 480-7099. Silver Buckle Barrel Series, – Exh. 5 p.m., Jackpot 6 p.m., Greeley Saddle Club Arena, (970) 302-9040 or http://WeldCountyHorseCouncil.com/SilverBuckle_BarrelRace_Flyer_New.pdf. Cow-working Clinic, 9 a.m.- 12:30 p.m., Two Spruce Farm, Berthoud, Colo., (720) 201-4363 or http://www.TwoSpruceFarm.com. Horseback Miracles “Horses for Hope” Hoedown, 4:30- 10 p.m., Perry Park Ranch, Larkspur, Colo., (702) 845-6195. Wheatland Wranglers 3rd Annual Charity Ranch Rodeo, 2:30 p.m., Fairgrounds, Wheatland, Wyo., (307) 331-4554 or (307) 575-2171. Coloradio’s Ranch Roping and Stock Horse Competition, 8 a.m., Fairgrounds, Brush Colo., (970) 768-1658. PBR Futurity Event, Stanley Fairgrounds, Estes Park, Colo., (970) 480-7099. 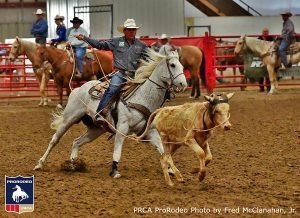 PRCA Rodeo, Stanley Fairgrounds, Estes Park, Colo., (970) 480-7099.